University of Illinois President Michael J. Hogan used the word “beautiful” to describe the UIS campus during his first official tour on July 26, 2010. During his visit to the Springfield campus, Hogan met with leaders, talked about the budget and took a look around campus. “The old and the new, each in their own way are very pretty,” said Hogan following the tour. Hogan says he’ll be on the UIS campus on a regular basis as the search for a new chancellor begins. He also plans to work closely with current Chancellor Richard D. Ringeisen to monitor the financial crisis the University is now facing. “I want to make sure and I don’t think I have to worry about this at all, that each of the campuses is pursuing their distinct and very special mission,” said Hogan. The visit wasn’t Hogan’s first to the campus. UIS hosted a welcome celebration on May 13, 2010 after he was named the 18th president of the University of Illinois. “Today, I think was wonderful from start to finish,” said Chancellor Ringeisen. Hogan was selected from a field of 208 candidates for the University of Illinois presidency and emerged as the top choice in the seven-month search because of his uncommon combination of scholarship, university leadership experience and achievement. The University of Illinois Springfield is now eligible to compete in 2010-11 as a full member of the NCAA, the Great Lakes Valley Conference and is eligible for post-season competition. On July 9, 2010, UIS director of athletics Rodger Jehlicka received a call from NCAA administrators. During the call, he was informed UIS had been officially named a full NCAA member. It was a phone call three years in the making. Following the announcement, Ringeisen celebrated with coaches, student athletes, faculty, staff and community members during an event at The Recreation and Athletic Center. “We’re excited about the future, to say the least,” Jehllicka told the crowd. The NCAA membership means all UIS student athletes will now sign national letters of intent, the university will be eligible for NCAA enhancement money and millions of dollars in postgraduate scholarships will be available to students. “Now we’re like with the big boys and it just feels good to be an actual NCAA athlete,” said Ryan Williams, a sophomore student on the UIS baseball team. The baseball program was one of many new sports added in the process of becoming a full NCAA member. UIS now offers 11 sports including men’s and women’s soccer, basketball, golf and tennis; men’s baseball; women’s softball; and women’s volleyball. The NCAA membership will officially begin on August 1, 2010. 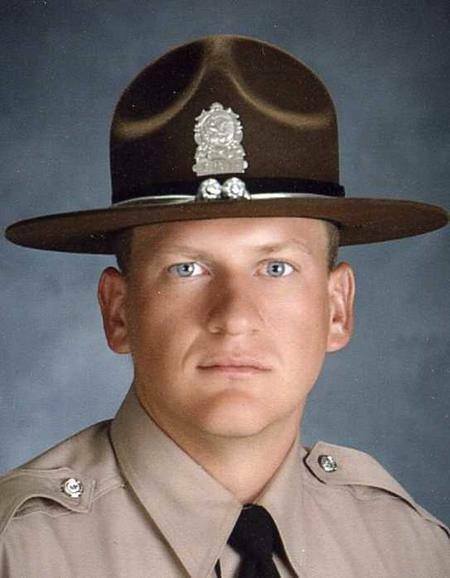 The legacy of fallen Illinois State Police Trooper Brian McMillen will live on at the University of Illinois Springfield thanks to generous donations from family, friends and fellow students. The Brian McMillen Memorial Scholarship Fund recently reached the $25,000 endowment mark, which means the scholarship will continue without end into the future. The money raised will be invested to grow the fund, with additional donations helping to boost the award amount. The scholarship is open to all Criminal Justice majors at UIS, regardless of their specific career goals. Applicants must be active as campus or community citizens. “You want to see that someone like Brian is remembered, and that other students know about his life story and perhaps are inspired by it to do things a little differently in their own lives,” said Barbara Hayler, professor emerita of Criminal Justice. Hayler led the push to establish the scholarship, personally pledging to match donations twice. Assistant Professor of Criminal Justice Jay Gilliam and the Criminal Justice student organization also helped to raise funds by hosting a bake sale and Free ThrowAThon. This past fall, senior Leslie Ruetter became the first student to receive the McMillen scholarship during the UIS Scholarship Luncheon. “It was a great way to honor Brian, who was a walk-on member of the men’s basketball team. Some people from the Illinois State Police were also very helpful in making (the Free ThrowAThon) a success,” said Hayler. McMillen, 24 was killed on October 28, 2007, while on duty as an Illinois state trooper. He was on his way to assist a fellow officer when his squad car was hit by two vehicles. Both drivers were convicted of aggravated driving under the influence, among other charges and are now serving time in prison. A total of 522 students have been named to the University of Illinois Springfield Deans’ List for the 2010 spring semester; 81 are students in the College of Education and Human Services, 296 are enrolled in programs in the College of Liberal Arts and Sciences, 39 are enrolled in programs in the College of Public Affairs and Administration, and 7 are non-degree or undecided.